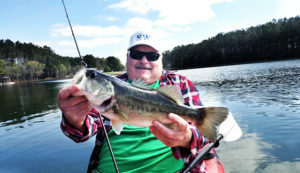 Mike Sweeney (Fishing with Mike) is a local fishing coach and he writes about his fishing adventures in the Daily Advance, Albemarle Times and for the Elizabeth City Area Convention and Visitors Bureau. He’ll be happy to book you for light tackle guide trips for the Albemarle region and Chesapeake Bay for stripers, trout, flounder, Spanish mackerel and blues. Find out more here.